Outback Trading Company® Trailblazer Oilskin Jacket has a bold, rugged look and keeps you dry. Classic styling with tough, WATERPROOF oilskin. 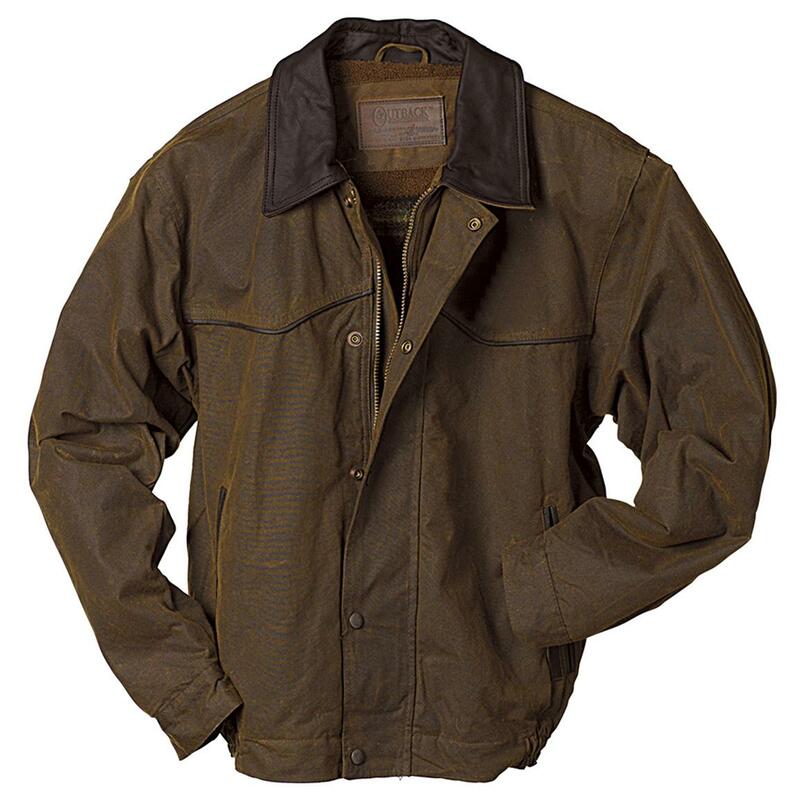 The Outback Trading Company® Trailblazer Oilskin Jacket has classic western style and is made from 12 oz. oilskin. That's cotton fabric fused with oil to form a WATERPROOF, yet breathable material. Outback combines premium fabric with skillful craftsmanship to create the best apparel to fit any lifestyle. State Size, as available in the Shopping Cart. Outback Trading Company Trailblazer Oilskin Jacket is rated 5.0 out of 5 by 3. Rated 5 out of 5 by Gary from Great jacket. Excellent jacket that kept me dry in the rain.